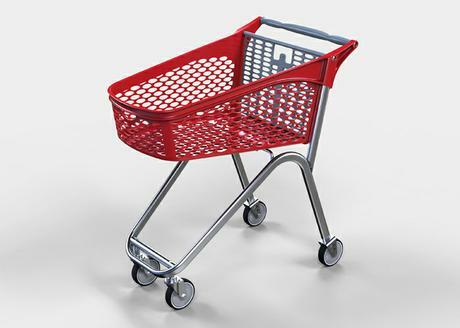 After 2 long years of development, the Ideso - designed Mini Hybrid Shopper for Supercart has finally been launched. We set out to produce a trolley with a capacity of 90L that would be easy to use, have silent operation, be easy to clean, be lightweight yet robust, nest well into each other, as well as be easy and cost effective to manufacture. This trolley has a shallow basket so that you don’t have to bend down too far. The placement of the handle relative to the wheels ensures good balance for manoeuvrability. The hybrid construction makes it lightweight and silent to operate. The high density polyethylene material is tough, UV stable and relatively inexpensive. We 3D printed several prototypes to test all facets of the design before going into tooling. We needed to please both the supermarkets and their shoppers alike. At Glen Garry Shopping Centre, trials for the “Mini Shopper Hybrid” were conducted over a period of 14 days. This was done to gain as much feedback from shoppers of various demographic backgrounds. Market research has shown 100% positive reception from shoppers.